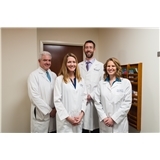 Boston ENT Associates (West Roxbury) - Book Appointment Online! Our goal is to provide excellent and timely care when our patients need it. We know that sudden hearing loss, a nose bleed, and pain can't wait for an appointment several weeks from now. We strive to see you, evaluate and initiate treatment within 24 hours and are assisted in doing so with the help of courteous and efficient staff. We treat all aspects of adult and pediatric ear, nose & throat, including: - sinus issues and nasal obstruction - sleep apnea - voice and swallowing issues - head and neck surgery - thyroid surgery - allergy testing - immunization therapy - dizzy testing and treatment - hearing testing and treatment including hearing aids, ear surgery, and tubes in childhood - cosmetic services including Botox and dermal fillers We look forward to helping you! She was great, personable, and really helped me!